Our mission is to make it simple for kids to find and follow Jesus. We can’t do it alone and neither can you. We want to work together to help your child grow in their relationship with Jesus. Our environments are age appropriate and interactive. Your kids will have fun learning and growing in their knowledge of God. We want kids to experience what it’s like to follow Jesus. We create moments for kids to live out their faith, so that it becomes a real part of their lives. We want your kids to feel like they belong at Kids First. 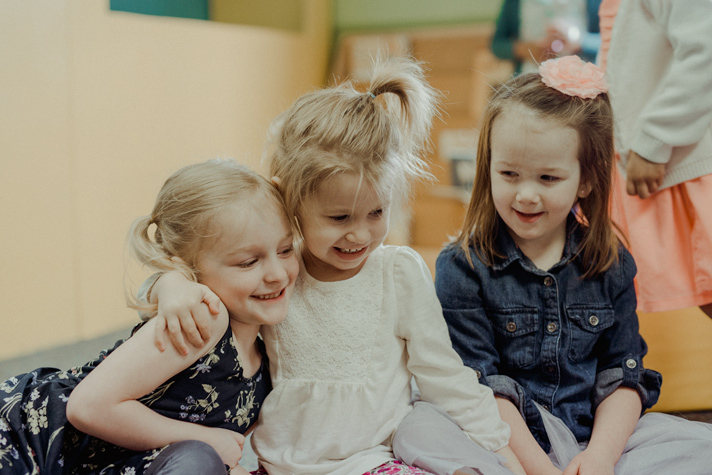 We create a space for your kids to connect with friends, godly leaders and Jesus. First Steps is for infants through pre-K. KFirst believes in ministering to the needs of every age group, including our littlest attenders. While parents enjoy the adult services, they can rest assured that their babies, toddlers and preschoolers are receiving personal care in a safe and nurturing environment. 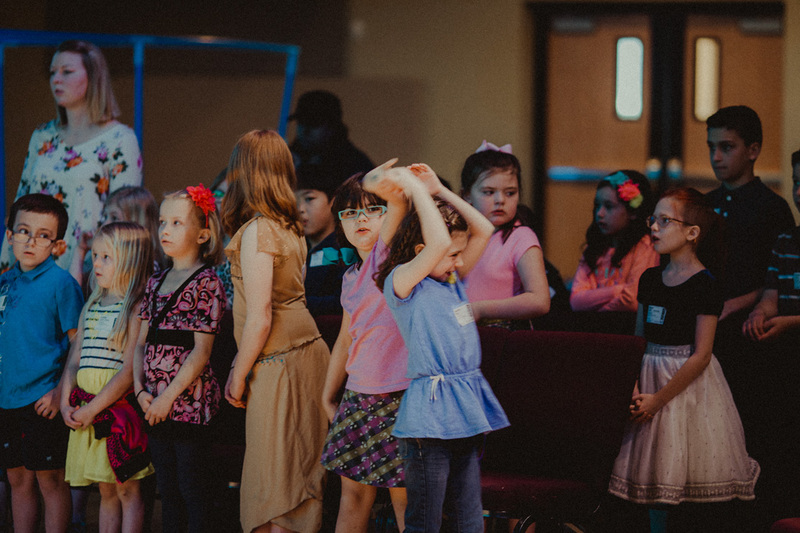 Our qualified volunteers create a positive experience that introduces your little ones to a love for Jesus early on. Children meet in classrooms located in our nursery wing. Kids First is for kids in Kindergarten through fourth grade. Kids First combines high energy activities with bible based teaching for boys and girls in kindergarten through grade 4. 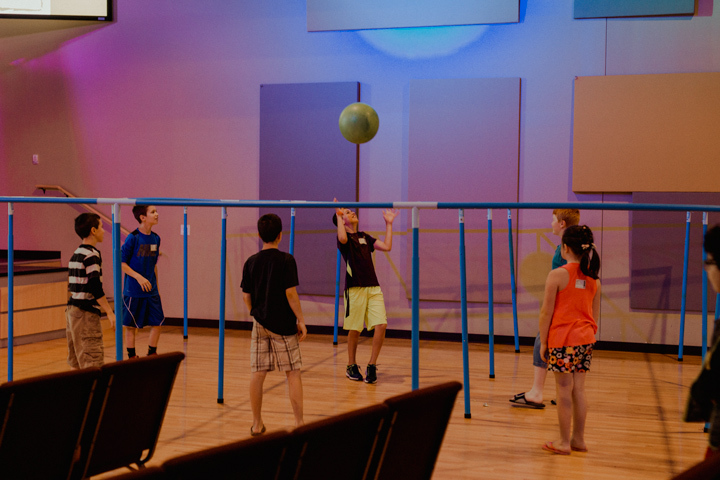 A combination of games, interactive lessons, engaging worship and applicable small groups capture kids attention while showing them that following Jesus is the best choice they can make. Kids First meets in the Ministry Center. Fifty Six is for kids in 5th and 6th grade. It’s a place for them to connect, learn and grow on their own level. 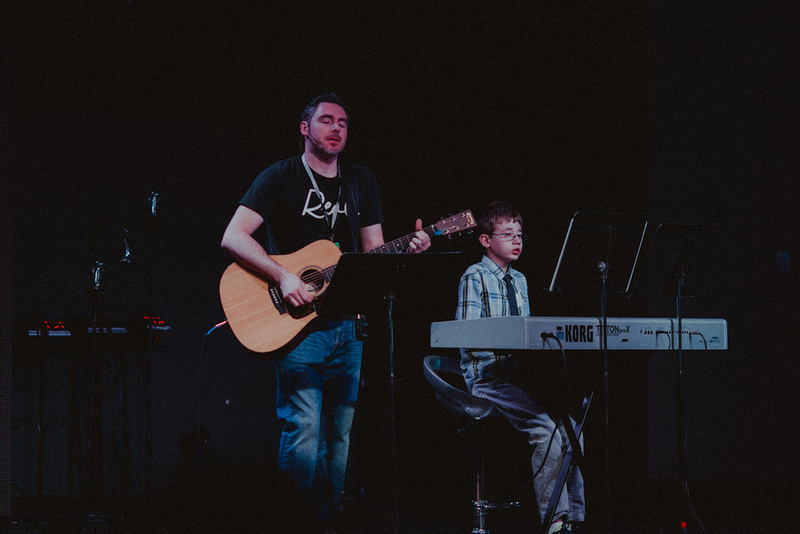 In fifty six, students have their own teaching, discussion and live worship time separate from the younger elementary kids. The goal of fifty six is to help prepare students to transition out of Kids First and into Real Student Ministry. 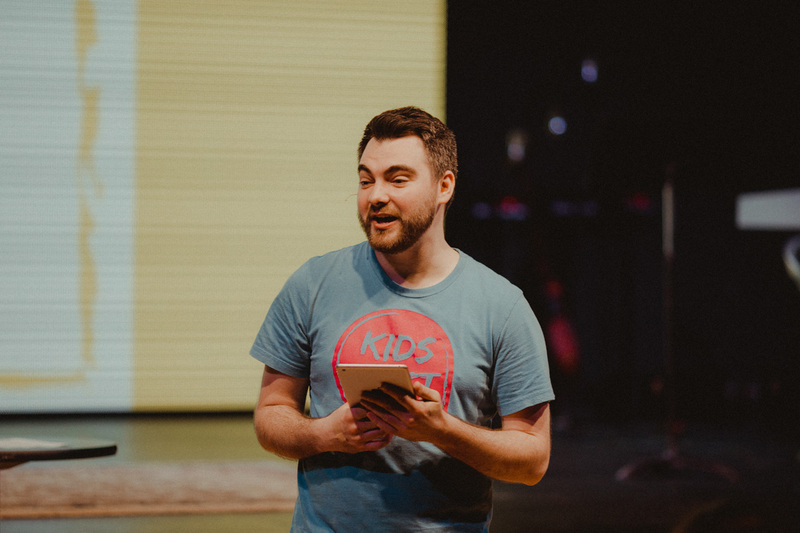 Fifty six is led by an adult leader with the help of student leaders from Real. Your kids will be excited to know that the leaders they had in fifty six, will be the same people to welcome them to Real in 7th grade. 5th and 6th graders meet and hang out in the ministry center where they will be dismissed to Fifty six. This will lead you into our family lobby located right by our Children’s area, Ministry Center and Nursery classrooms. Register at our guest Check-in Desk. You will need a parent/guardian, phone number and address to register your child. You can pre-register your child below. Our guest check-in hosts will show you the rooms your child will meet in. Feel free to ask any questions, you may have. We want you and your kids to feel at home at Kfirst. Keep them handy in order to pick up your kids after service. Our check-in and pick-up system ensures that your kids are safe and secure while at Kids First. When does Kids First meet? 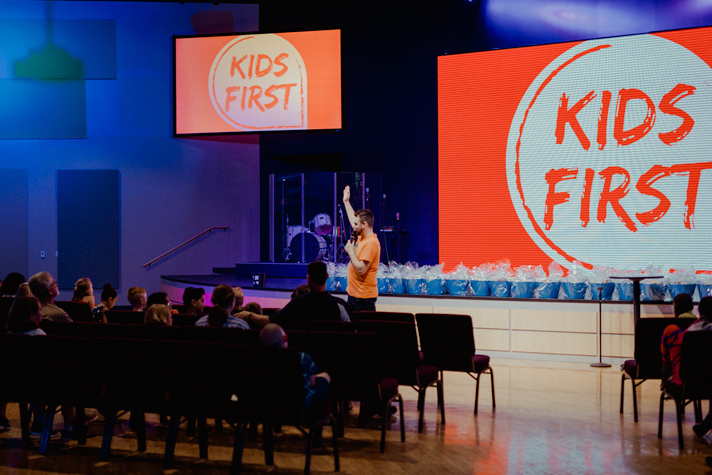 Our main Kids First gathering coincides with the adult Sunday morning services of KFirst. We meet every Sunday at 10am. If my kids are different ages can they stay together? We design rooms to be safe for the assigned age groups; if sibling groups want to stay together they are welcome to do so if they go into the youngest sibling’s room. Do you have anything for my child with special needs? Of course! We would love to partner with you in coming up with a solution that suits your family and our facilities. Do you have special events and mid-week programming for my family? 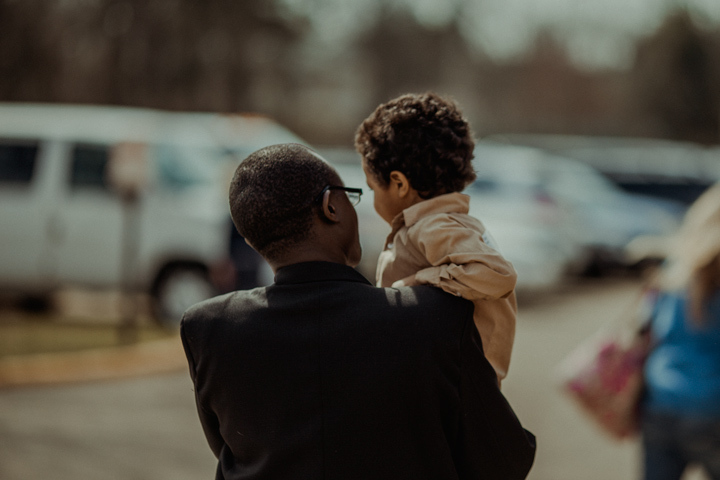 We have lots of opportunities for your family to connect and grow in their faith. Check out the Kids First facebook page to stay current with what’s happening in Kids First. Also check out the events page of our website for more information on upcoming events.